Our Little Family: 22 Months! Bryson will be 22 months on Saturday so I thought I'd post a little update about him. Mike and I seriously don't know how we got so lucky. Bryson is amazing and we love him so much! 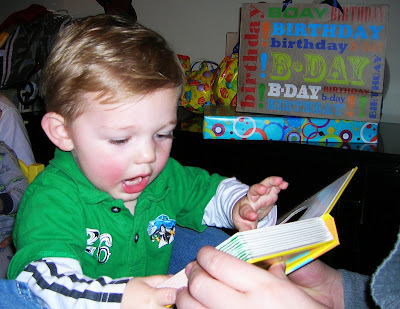 He is trying so hard to talk and learn words and has even started putting 2-3 words together. He is really good at saying please and thank you and is so helpful around the house. He is especially good at putting the silverware away when we unload the dishwasher together. He loves to watch Elmo, Barney, Nemo, and Cinderella (not quite sure why he likes Cinderella so much---he must think she's pretty). Here are some random pictures we've taken of him this past month. 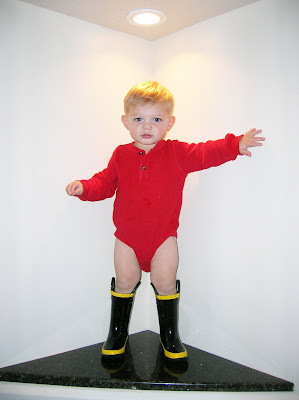 Here's one of Bryson standing in the empty alcove in our house with the little fireman boots on that Granny Goose gave him. 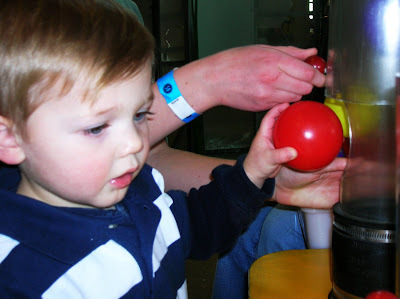 We took him back to the Children's Museum at the Gateway. It was three-times the price we paid a few months ago (ridiculous!!! ), so we probably won't be going back. He did love it though. Potty's were on sale at Babies 'R Us so I bought one in preparation for the ever-dreaded event (don't worry, I'm not even going to attempt to start with Bryson until maybe the end of the Summer). 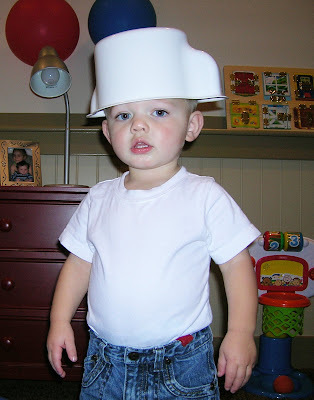 When we pulled it out of the box, Bryson grabbed the bowl and put it right on his head. I hope he doesn't do that after he poops in it! 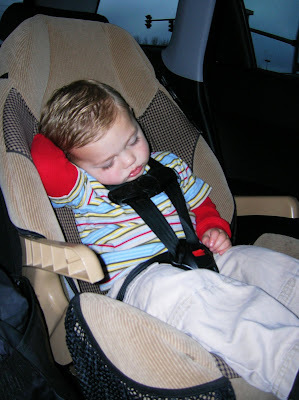 Just a cute picture of Bryson sleeping after a Terrific Tuesday trip to the Ocean Aquarium. 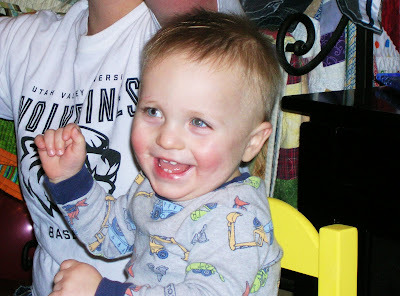 I just had to throw this one in of Bryson's best buddy Brock because he's so cute. He turned one last week and is such a good friend and cousin to Bryson. Bryson loved all of Brock's new toys and was so excited about each of them.